Get 43% off with code 431GAW21. Price drops to $5.93! They nest together for compact storage and come with a convenient ring that opens and closes to let you use one Spoon at a time and then keep them all together when you're done. The spoons are also stackable and save you a lot of room when storing the set. 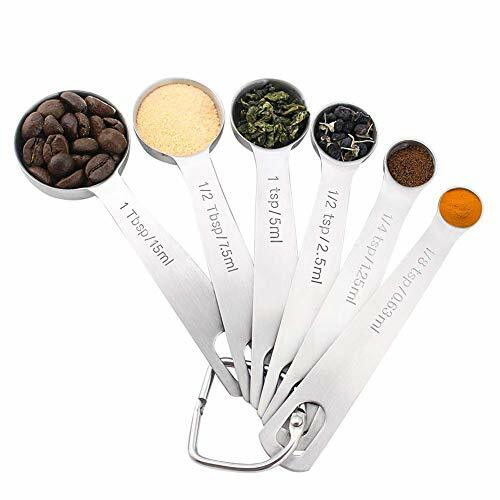 You can easily measure dry and liquid ingredients such as spice, sugar, salt, oil, coffee, wheat. Keeping your dietary health and safety, it is used for professional cooks and home chefs who value quality kitchen tools.